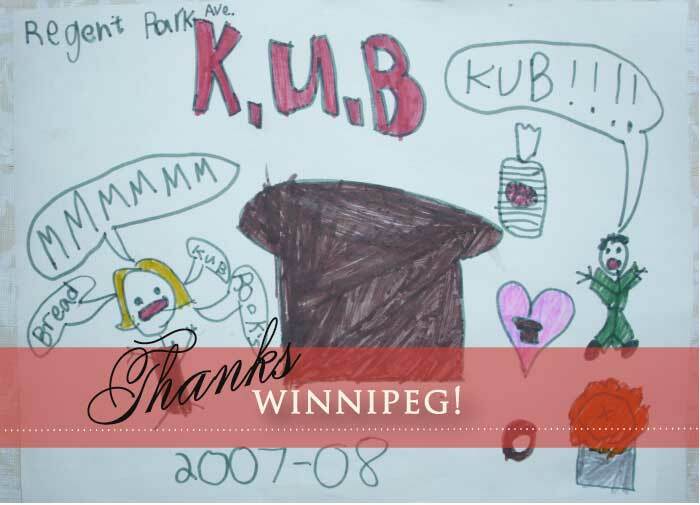 We moved to the Twin Cities and everyone who visits us from Winnipeg knows to come with a trunk full of KUB BREAD. There is nothing like it here! We miss it so much. And apparently we are not the only relocated Peggers as last time friends crossed the boarder, the patrolman asked ‘what’s so special about this bread I keep seeing come through here? Alas, it is similar to another Canadian Rye but theirs does not freeze nearly as well. See you at Christmas! I soo miss Kub bread. My father used to pick it up & it was still warm when he got home. Nothing better than a fresh sandwich with Kub. I miss it……Old dutch on the side! Oh how I miss KUB Bread. If only I could have it delivered to Australia!!! It was a shame about the fire but nothing can keep a good bread down. Where do I find the best Ukrainian Rye Bread? Kub Bakery! Of course you can also get Kub at Safeway and Sobeys, But its way better direct from the store !